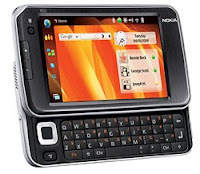 NOKIA Oyj has stopped production of N810 WiMAX Edition tablet, its only mobile device using WiMAX technology. The N810 WiMAX Edition tablet was launched about 9 months ago. Although the company did not rule out the possibility of launching more WiMAX devices, but it is definitely a blow to the WiMAX ecosystem. This could be also a sign that Nokia is more in favour of the Long-Term Evolution technology, or the company is trying to cut cost amid the global economy slowdown. Doubt major WiMAX operators will be too worried over this, afterall, main players committed to WiMAX are Intel, Motorola, Alcatel-Lucent etc. Be panic ONLY when Motorola and Intel decides to stop production of WiMAX devices.